I haven’t had as much time as I’d like to spend over at Distributed Proofreaders lately and wonder what gems of projects I’m missing. Since DP only works on publications that are out of copyright, the books and magazines being proofed are a window into an earlier time. Sometimes it’s not a pleasant view, like when the defenses of slavery show up in some of the Civil War era material, but more often it’s quite entertaining. I worked on a book not too long ago that amused me so much I bought a copy from a used bookstore (via the Internet, of course): The Art of Interior Decoration by Grace Wood and Emily Burbank, first published in 1917. It’s filled with advice on things that I absolutely do not need to know about, like furnishing servants’ rooms and sports balconies. Sports balconies? Even Grace and Emily admit that they are “bizarre and fascinating”. I wonder if anyone still has them–maybe rich people who have live-in servants? It was the illustrations and the captions that sold me on the book. 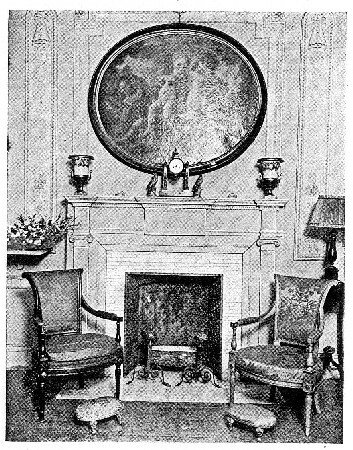 Consider Plate 17 (see left), described as “An Example of Perfect Balance and Beauty in Mantel Arrangement”. To my eyes, the gigantic oval painting rather dominates the small urns and clock and figurines, but I’m no decorator. 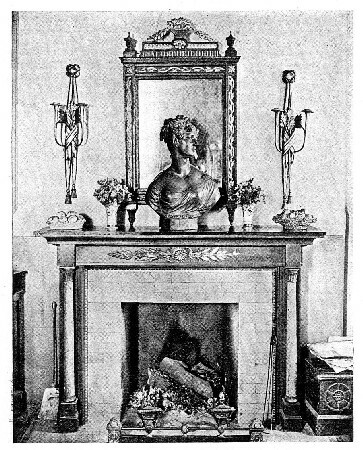 Contrast that with Plate 24 (see right), “Example of Lack of Balance in Mantel Arrangement”. Why a gigantic bust is bad and a gigantic painting is good, I do not know. Considering my own mantel arrangement includes Pikachu, Mickey Mouse, and Eeyore, I am obviously no expert on the subject. 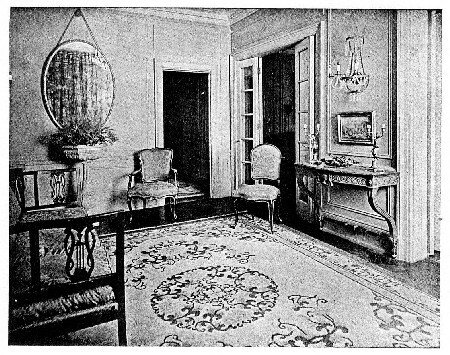 My favorite is Plate 29 (below), “Example of a Charming Hall Spoiled by Too Pronounced a Rug”. The horror! I rather think the rug is the most interesting thing in the space. Thoughts like these are probably why my home would appall Grace and Emily were they to rise from the grave and visit. The next project I’ve pulled to do the post processing for is a 1919 publication on healthy living. That should be fun, and maybe I’ll learn a thing or two. One year ago, I Holididn’t. Two years ago, I was at work. Not today, baby. Today I am still on holiday.